Villagers on early Friday morning rushed to the spot where sand mining takes place and found the tahsildar allegedly helping smugglers. TIRUCHY: Residents of Thiruvasi village on Friday lodged a police complaint against Mannachanallur tahsildar Renuka Devi for allegedly favouring sand smugglers. The villagers demanded action against the official. However, the tahsildar denied the allegations. T R Anbuchezhiyan, a farmer, in his complaint said Devi has been allegedly frequenting the Kollidam riverbank to help sand smugglers carry out mining without any disturbance. Villagers on early Friday morning rushed to the spot where sand mining takes place and found the tahsildar allegedly helping smugglers. Anbuchezhiyan’s complaint said there were three lorries and heavy machinery at the site. He said as per the official’s order, the equipment had been moved from the spot by the time the villagers reached. Collector K Rajamani, however, said the tahsildar had arrived at the location to catch the offenders red-handed. He said, “As per information I received, the tahsildar went there to nab the sand smugglers but some people surrounded and opposed her.” Rajamani assured he would look into the matter and stringent action would be taken against those involved in sand smuggling. 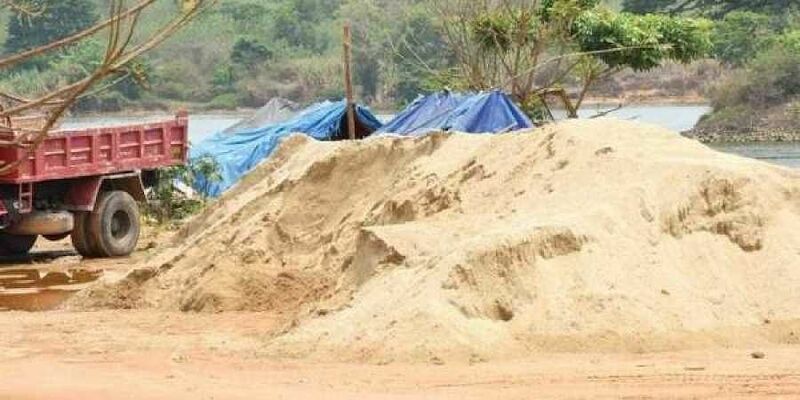 Karur: The Cauvery Conservation Committee, Naam Tamizhar Katchi (NTK) and people of Kulithalai laid siege to a sand mining quarry at Manathattai on Friday demanding its closure. The quarry is located 500m from a pumping station which acts as the main source of water for Manapparai. Protesters said they had been trying to get in touch with officials for the past four days to hold talks in order to reach a solution but received no response.